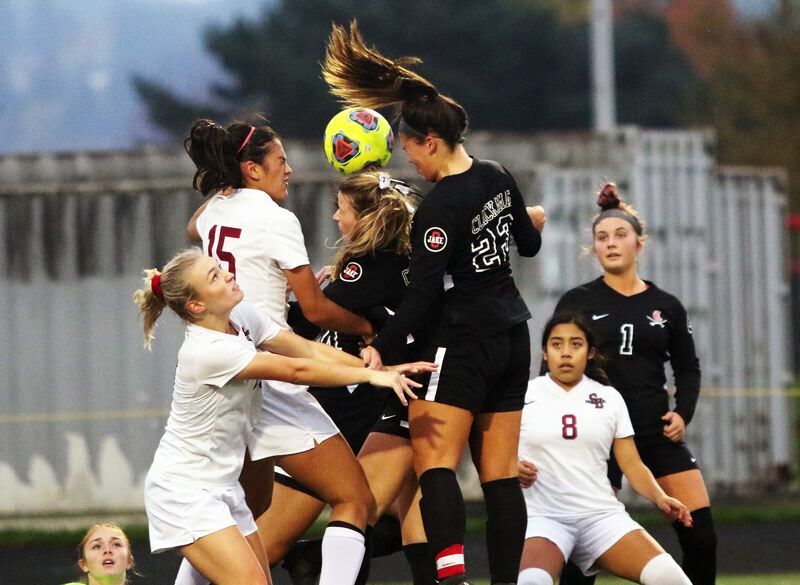 CLACKAMAS — The season didn't end the way the Sherwood High School girls soccer team had hoped, but, still, it was quite a season for the Lady Bowmen. 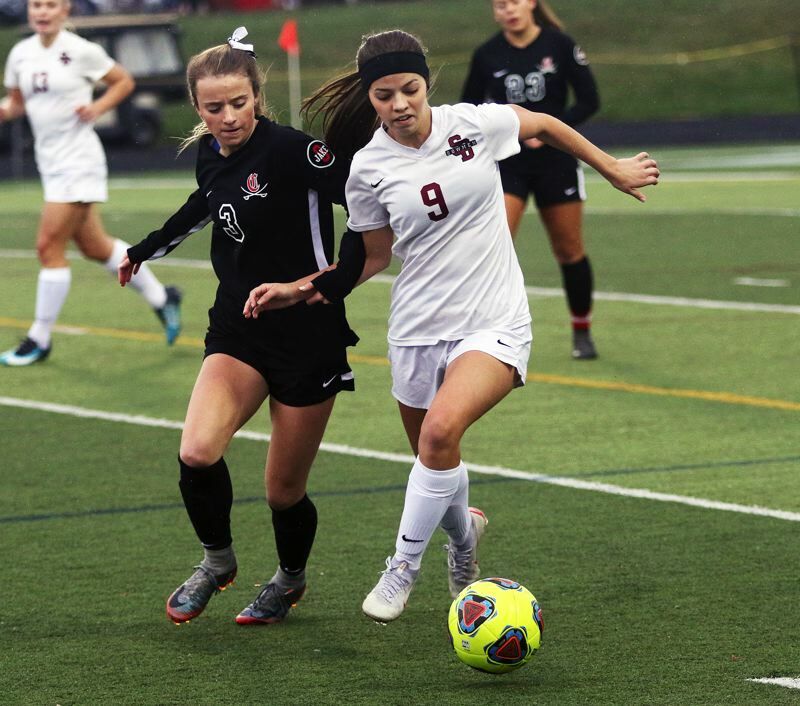 Sherwood saw its season come to a close with a 5-0 loss to Clackamas in a Class 6A state playoff quarterfinal match played Saturday at Clackamas High School. 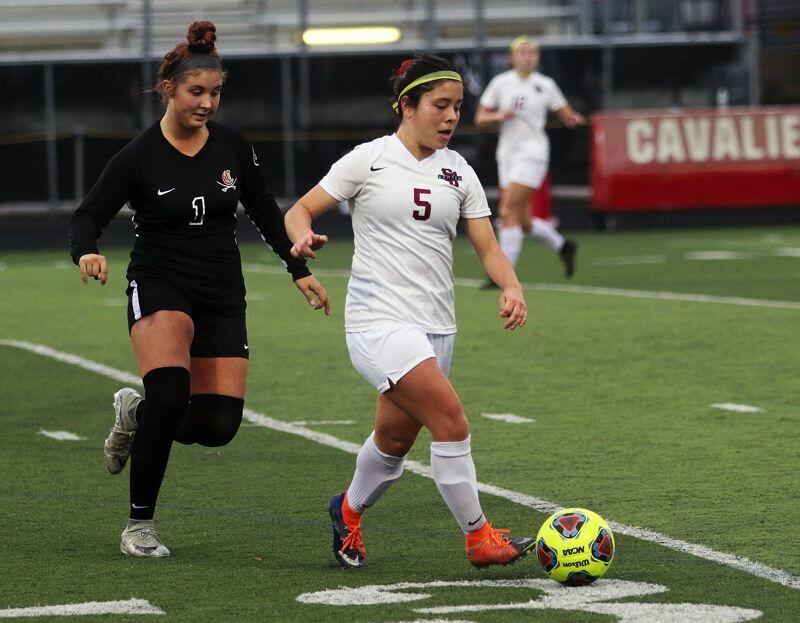 "Even though it didn't end up how we wanted it to tonight, the memories, and the love we have for each other is going to be everlasting," Sherwood senior defender Madi Pastores said after the match. "It's been fun. I'm proud of everyone on the team." "This season was a lot of fun," Sherwood senior midfielder Kolleen Peters said. "We're all really good friends. There's not a ton of drama, like you see with other teams. We like each other, we sing together, we dance together and have a lot of fun." With the win, Clackamas, the Mt. Hood Conference champion, and the No. 3 team in the final OSAA power rankings, improved to 14-2-1 on the season. The Cavaliers also advance to the semifinal round of the state playoffs for the first time since 2012. Clackamas will play at West Linn Tuesday in a semifinal match starting at 7 p.m.
"This is huge. 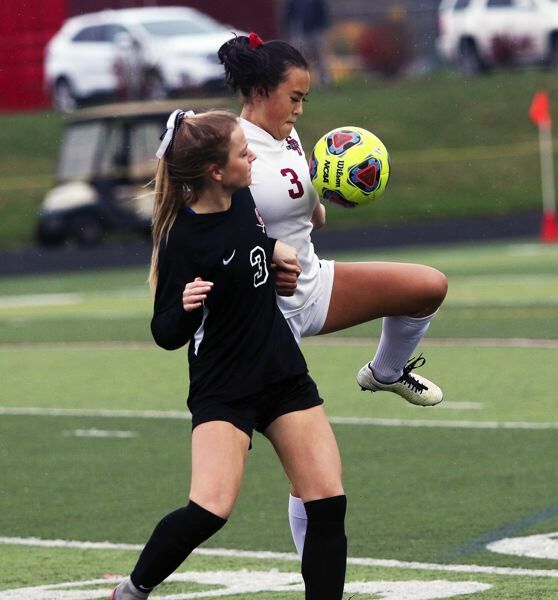 I think everyone is super excited," said Clackamas senior Kori Walters, who scored a pair of goals off corner kicks in addition to anchoring the Cavalier defense. "We knew, going into the season, how much potential we had, so it's really exciting to see it all come together. We were very motivated. As a team, we set three goals at the beginning of the season, and one of them was to make it to the championship, so we understand how crucial each game is. We're taking it step by step." Sherwood, the No. 2 team out of the Pacific Conference, and the No. 6 team in the power rankings, finished its season with a final overall record of 13-5. "It was pretty good," Pastores said of Sherwood's season. "We knew, as seniors, that we wanted to make a lasting impression, especially for the school. All eight of us have grown up playing with each other, being each other's best friends. That definitely makes it more special." "I think we had a bit of a learning curve," Peters said. "All of the seniors had played together forever, but being in the new league, we had a lot of new experiences, like learning to play for ourselves, and being our own competitors." 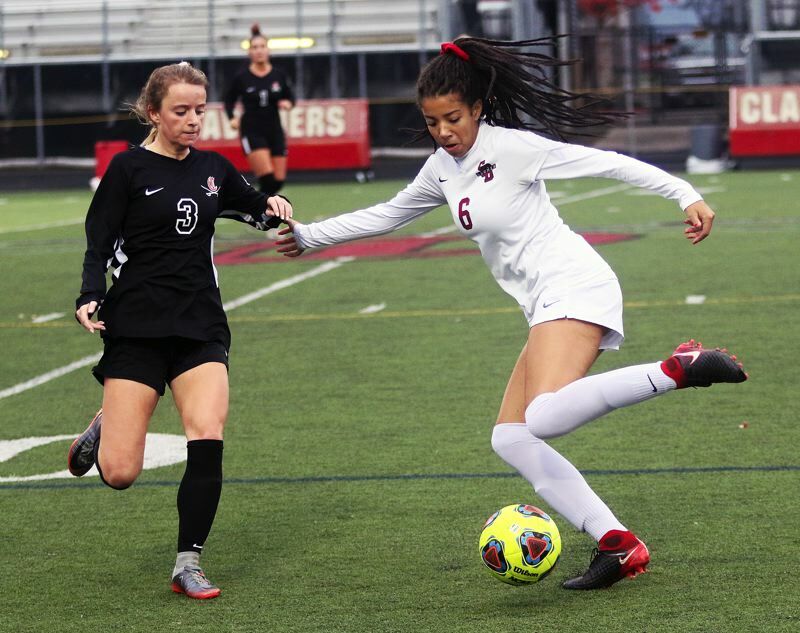 Clackamas, in Saturday's quarterfinal match, grabbed a 1-0 lead when Walters, going up high, headed in a corner kick by senior Madeline Tetz, coming with 29 minutes and 20 seconds left to play in the first half. The Lady Bowmen tried to battle back. Sherwood junior Loma McNeese, who had been a scoring machine in the postseason, had a free kick shot from 28 yards away sail wide left of the Clackamas goal with 21:21 left to play in the first half. McNeese then had a running attempt from 22 yards out also drift wide to the right. Clackamas pushed its lead to 2-0 when sophomore Aidan Brown scored on a shot from 35 yards away with 15:15 remaining in the first half. Brown's bending shot was deflected by leaping freshman goalkeeper Tali Kozma, but the ball still sailed underneath the crossbar of the Sherwood goal. 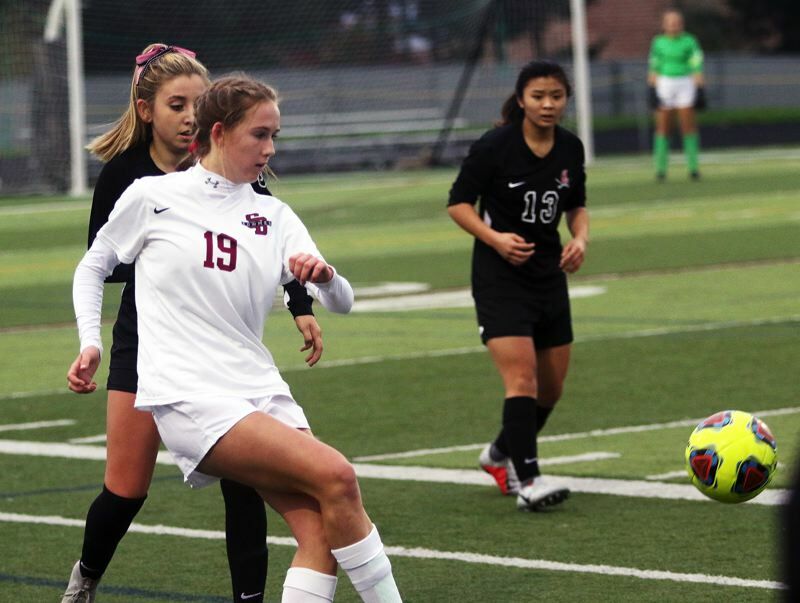 The Cavaliers' defense played strong throughout the first half, but Bowmen junior Jillian Leroux got off an attempt from 25 yards away, with the ball soaring over the crossbar of the Clackamas goal with 6:25 left to play in the first half. Clackamas, keeping up its intensity, was able to score again. Junior Kyla Sullivan hit a shot from 30 yards out on the left side, drilling the ball just inside the right post of the Sherwood goal, upping the Cavalier lead to 3-0 with 3:00 left to play in the first half. Clackamas kept the pressure on in the second half. Walters scored on a header off another Tetz corner kick to up the margin to 4-0 with 29:12 left to play. But Sherwood kept battling. 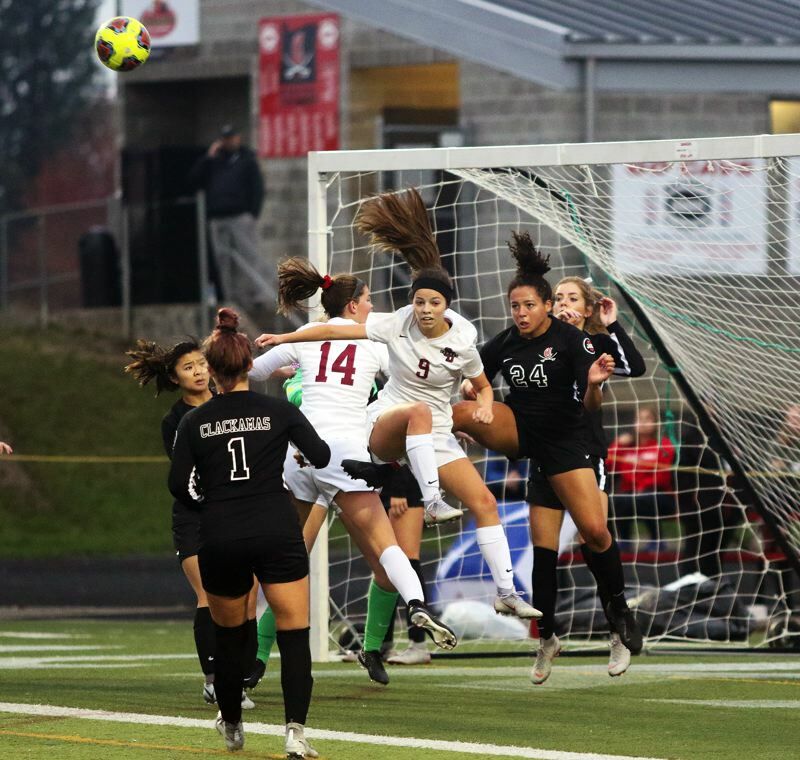 Bowmen senior Jenna Funk hit a hard shot from 28 yards away, with Clackamas senior goalkeeper Hallie Byzewski having to reach up high in order to make a save with 20:22 left in the match. Soon after, Leroux headed away a Clackamas corner kick in front of the Sherwood goal. Then, with 15:46 left to play in contest, there was a lightning delay, with the teams ushered off the field to shelter. Following the half hour delay, it appeared to be a fired-up Lady Bowmen squad that took the field. "We talked for a little bit, and figured out what we wanted to do," Pastores said. Sherwood freshman Ellie Schmidt drilled a turnaround shot from 14 yards away that Byzewski had to dive for in order to make a block with 7:50 left to play. 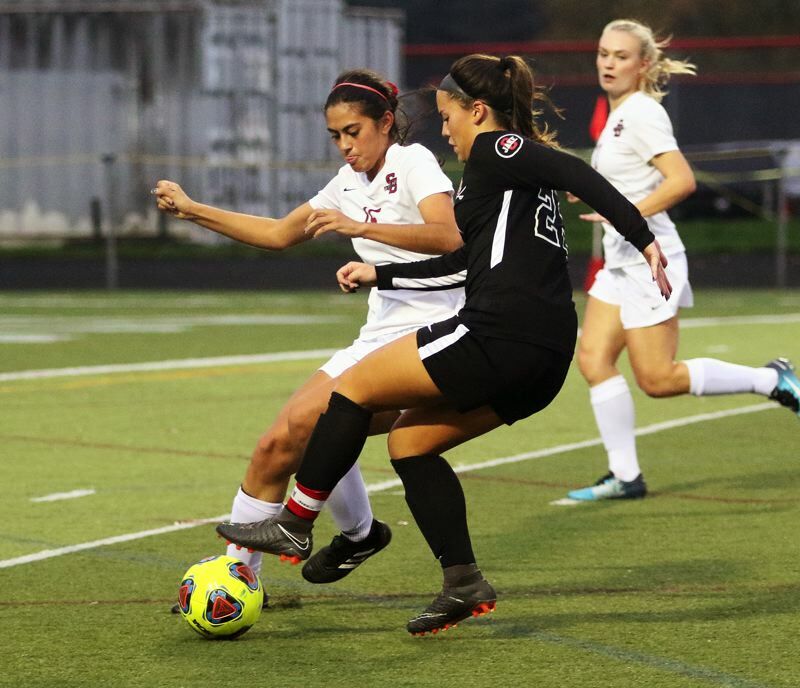 Then, with 7:06 left, Pastores hit a shot from 15 yards away on the left side, off a corner kick, that Clackamas senior defender Ellie Gentry was able to deflect right before it went into the goal. Clackamas wrapped up the scoring when junior Kiah Wetzell drilled a turnaround shot from 22 yards away with 6:26 left to play, making the final score 5-0. "We really focused on being tenacious, and having a lot of grit," Pastores said. "I think everyone put all that they had into this game, and finished strong." "Coach Hartman talked about doing it for the seniors, and doing it for ourselves," Peters said. "We talked a lot this season about being warriors, that's what we did it for." For the match, Clackamas had 14 shots on goal and eight corner kicks. Sherwood had four shots on goal and five corner kicks. "We have 21 pretty lovely girls, pretty intellectual and pretty hilarious," Pastores said. "There's just a lot of love for everyone." The playoff loss marked the final high school match for Sherwood seniors Laikyn Holloway, Peters, Gillian Peden, Mia Stallard, Abby Eisenbeiss, Funk, Alex Verkamp and Pastores.